I used them once and I am not sure if I did it correctly I followed instructions in LM,I also am not sure if they were meant for what I used them for If you say I want when I wake up not no have to be concerned about a certain situation because the worry about it is gone after you dispose of the worry doll is this correct?? Sharona22 wrote: I used them once and I am not sure if I did it correctly I followed instructions in LM,I also am not sure if they were meant for what I used them for If you say I want when I wake up not no have to be concerned about a certain situation because the worry about it is gone after you dispose of the worry doll is this correct?? You keep worry dolls near your bed or under your pillow. Every night before you go to sleep, you tell them your worries. They take away your worry. You never dispose of the worry doll. You keep the worry dolls. Their job is to take your worries away. Yeah, you keep them forever. You don't separate worry dolls. They are a group. Usually, they are so small you can't take them apart. I have Peruvian ones in a box. I can hold the box in my hand and tell them my worries, then go to sleep. There is no phaselogy for worry dolls. You just tell them your worries. It's not that complex. Did you throw out your worry dolls? The ones Lucky Mojo sell come in a bag that is not suppose to be opened. You hold the little bag and tell the worry dolls your worries and you go to sleep. You do this whenever you need to. What is the history brhind them? How often can you tell them worries? You always keep them under pillow? Can you all let me know specifically if I am now doing the worry dolls right i tell them my worry enclosed in the bag and keep them under my pillow all the time? Do I keep up with the same worry till fixed?? Then can I use new worry? Can I use 2 sets for 2 different issues or can I use 2 sets to make them stronger. I am going to answer all your questions in one post. Worry Dolls are traced back to Guatemala, but they have sprung up all over Latin America. I have a Peruvian set from my uncle. They were originally given to children to help them with nightmares. Tell the little worry dolls your worries and they will spirit them away. I don't think you will have a problem if you took your worry dolls apart, but you might want to buy a new set and keep them together. They would be more affective that way. They are a bit of a novelty item and not specific to Hoodoo, so I think you are safe in keeping the incomplete set. If you feel the need to, you can give them a proper burial in your front yard. When you get your new worry dolls, keep them in their bag and just tell them your worries each night before you go to sleep. They take all your worries and do not keep a running tab of them. If you still have your worry the next day, tell the worry to the dolls again before you go to sleep. There is no limit on a worry. This helped totally thanks It was also interesting about the novelty I am guessing that sometimes if you believe hard enough it might just happen as with takeing your worries away. That's really cool...I'll have to check out a set myself! 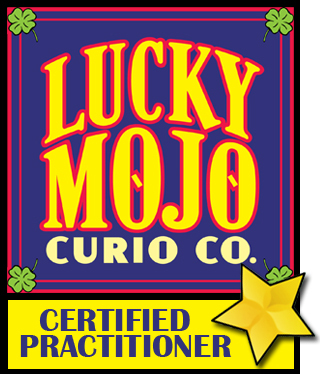 Why, you can get them at Lucky Mojo! Worry dolls are very popular in children's hospitals. They're not commonly used by adults. My grandmother always had worry dolls around, and most of my adult relatives had them too. these bring back great memories for me! My dad gave me them when I was young. I didn't know they LM had them, cool!! can worry dolls b seen or touched by another person....coz for mojo it should not ne seen nor touched by a stranger....how abt worry doll?? hmm...i've learned something new again tonight. So mojo is not suppose to be seen or touched by any other individual. May I ask if adults are suitable for worry dolls too? Even as the worry dolls were intended for children, an adult can benefit as well. I've already gotten the green light from my lady boss to order some on the next list.. but..can they really take away adults' worries too? I believe children worries are easier to take away but adults' worries sounds heavier.. I was curious, has anyone ever made/used a worry doll as a substitute poppet? That is to say, making the worry doll in the likeness of an intended target and using them in things like mirror boxes or other target-based work. Any thoughts? When a child in the family are worried or frightened of things or events, the parents present him or her with a bag of Worry Dolls. The child is given one Worry Doll each night and instructed to tell one trouble or fear to the doll, then to place the doll under the pillow and go to sleep. The next morning the when the child wakes up, the Worry Doll is gone from the bed, taking that worry with it. It has been awhile since my last visit here but if i recall, LM carrys Worry Dolls I'll have to browse through the Items in the online store but I'm pretty excited to have them once again, when I get around to ordering some things I just can't find in santa cruz. I had them as a child and they really worked! I was told these dolls are called 'Memory Dolls'. Is this completely false? Is there something along the lines of this? I went to Peru and they had these dolls everywhere. In most parts of Peru, they were considered worry dolls and the instructions are the exact same as Lucky Mojo describes. In some areas of Peru, I was told that you put them under your pillow and if you have a nightmare, you bury the doll (which will take the curse of the nightmare away). But I have never heard of memory dolls. This is new information. It could be the case that some areas of the world believe this but I am not aware of it. So, thank you for sharing this information! Can you please tell me about Worry Dolls? Weird way to use worry dolls? I learnt that worry dolls are used for people who have big worries and they are supposed to worry instead of that person. Thus, worry goes away. So can worry dolls or some kind of other doll can be used for a sick person to be sick instead of him/her so, he/she will be cured? I know it's kind of a weird question but it bugs my head lately. Yes of course you could use worry dolls for a sick person. When we're sick, we worry, so it is appropriate. But will it make the sick person better in terms of health? Also can I still use them if the sick person is not in the same city as I am? You may consider working the Worry Dolls by proxy.